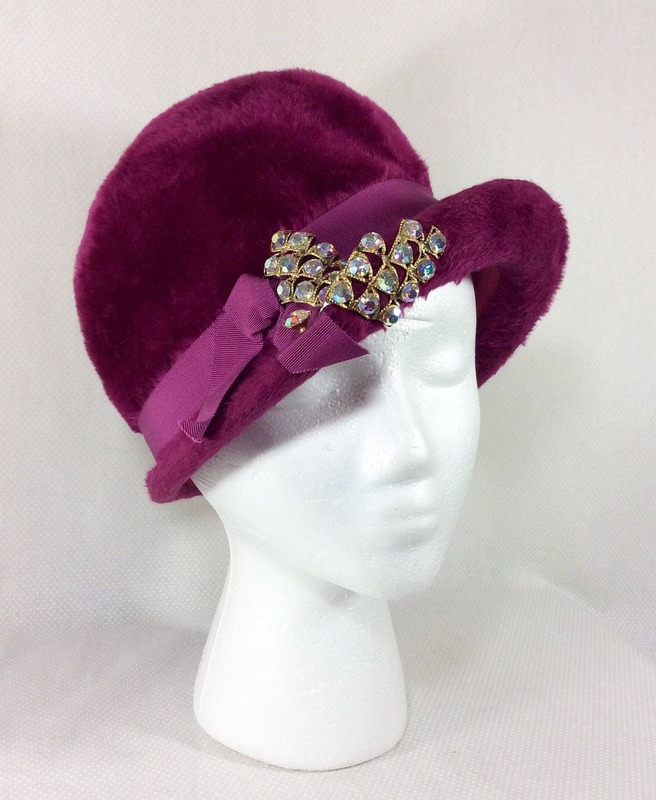 This fabulous fuzzy cloche hat is sure to turn heads! 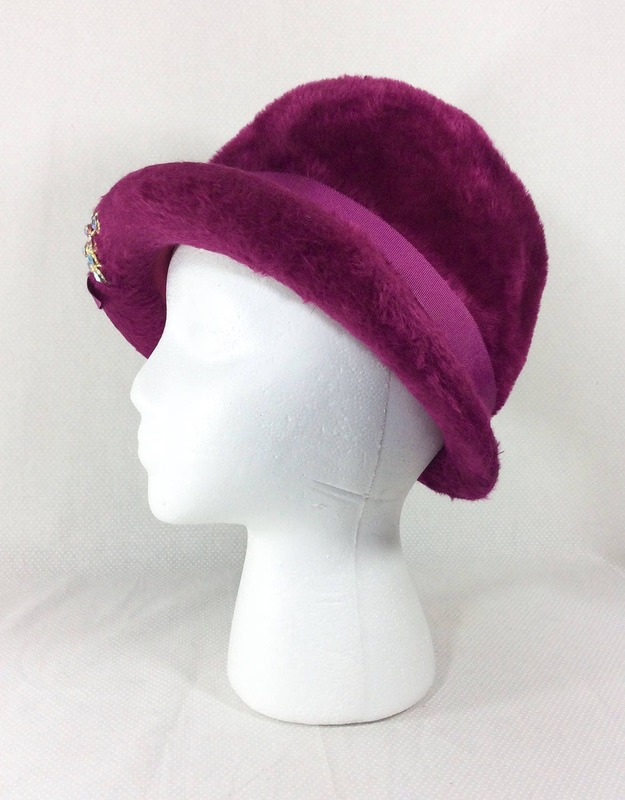 This hat was Union Made in the USA by Selene during the 1960s. There is no size indicated. Please see measurements below to guarantee fit. The body of the hat was made in Italy. The interior fabric is made of felt. The exterior is made of a fun and soft furry fabric that does not shed. The bright magenta color is beautiful and vibrant. A ribbon wraps around the hat for added decoration. 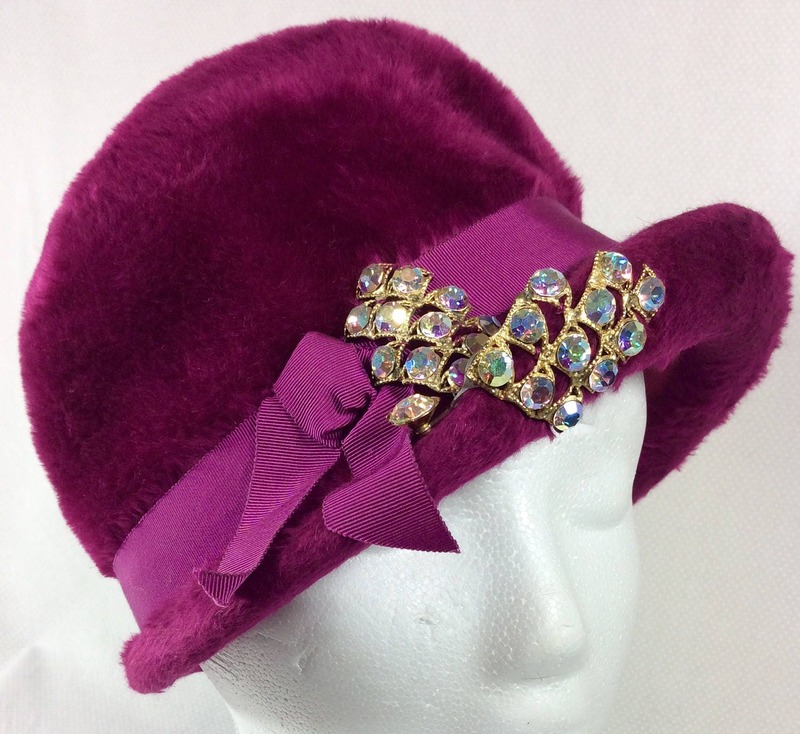 There is a gorgeous appliqué on the front with lots of sparkling rhinestones in a gold tone setting that constrast nicely and really makes this accessory stand out. 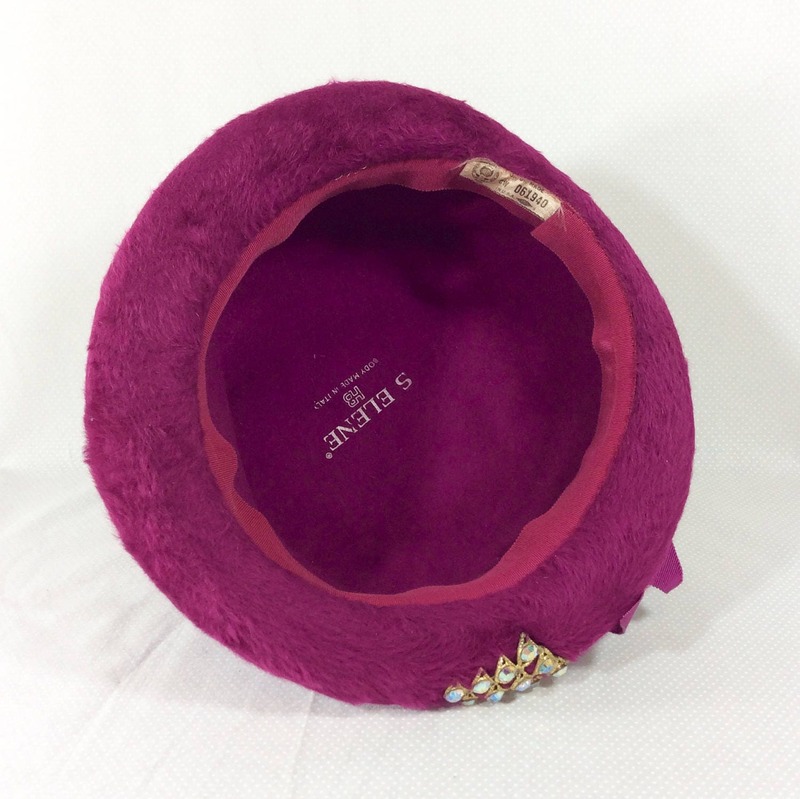 The rise of this cloche measures approximately 6 inches tall. The brim measures 2 inches at the widest part. The inner band measures 22 inches around. 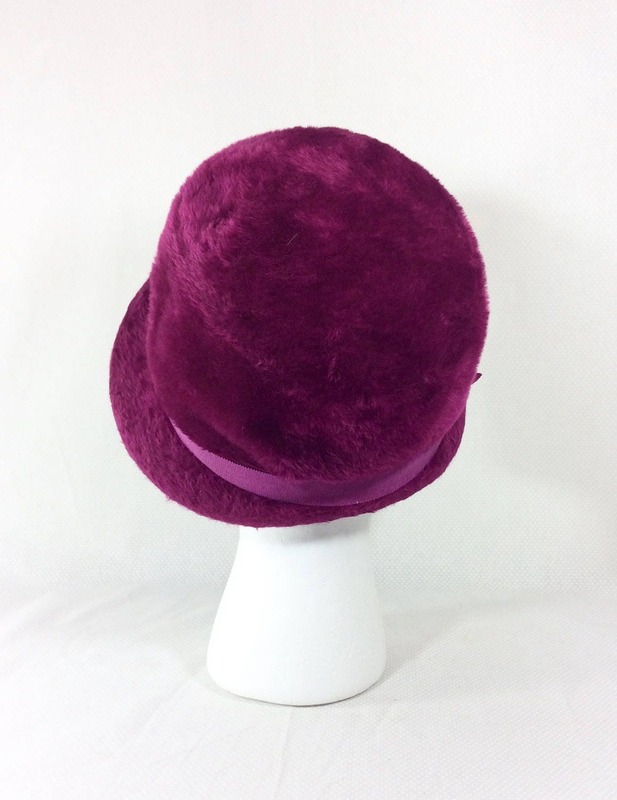 This vibrant and colorful hat is in excellent vintage condition, and it was stored in a smoke-free environment. It would look amazing paired with every day looks, or it could even be used as a costume for theater or film.